After announcing the much-rumored W880i, Sony Ericsson has introduced a second Walkman phone today, the Sony Ericsson W610, which is not as thin as its sibling, but just as impressive. The Sony Ericsson W610 measures 14mm thick comes equipped with a 1.9 inch 262K TFT LCD display, 2.0 megapixel camera with auto focus, Walkman player 2.0, 512MB Memory Stick Micro (M2) included in the box, card slot, up to 25 hours of music playing time and Bluetooth Audio Streaming (A2DP). 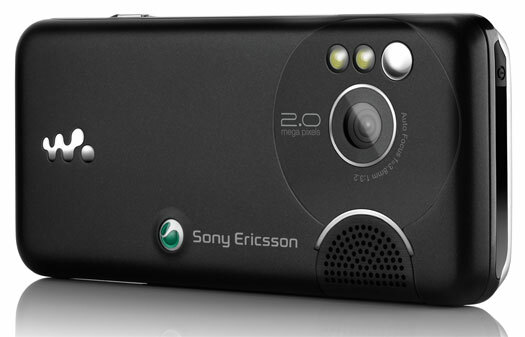 Sony Ericsson will be launching the W610 in the second quarter of this year. And as for the price, we know nothing. how loud is it? am lukin 4 a loud fone can sum1 advice me with a loud fone plz? n btw Apocalyptica my mates got the w880 and the sound quality is rubbish but if your not bothered about the music then go for it....does any1 know about the sound of w610? Thats nice a want it but how much is it ? i purchased one of these phones yesterday and i am very satisfied, its a slik phone and i rate it 10/10, car phone warehouse are selling them for �159, but i went to O2 and got a deal for �110! the pric eof this phone is around 15000 rupees and a second hand W610 would cost around 13000 ..
my bf also used this ok..
were can i get this...?